Get Khyber Medical College Jobs 2019 | KGMC Peshawar Jobs 2019 For Non-Teaching Staff Online Form Download. Applications are being offered from the Khyber Girls Medical College Peshawar, Hayatabad is inviting the well experienced, caliber and well-disciplined applicants are required to apply for the Non-Academic posts given below. Jobs in Khyber Girls Medical College are such as (HR Manager) is the current vacancy which needs to be filled by the applicants as soon as possible. Applicants will serve under the probation period for one year and will be extendable on 2 years further not above them. Attractive salary will be paid to the applicants. Now, I will let you know about its applying and eligibility conditions below. 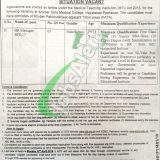 KGMC is abbreviated as Khyber Girls Medical College Hayatabad, Peshawar is the Government Institute which is lying in Peshawar and is regulated by the Govt of KPK and this well known university offers the Graduate and Post Graduate programs to the students and also research work facilities will be given to the applicants. Awesome teaching and non-teaching staff will be paid to the applicants. For the above posts, the applicants should be having the overall qualification of MBA / BBA / Masters in HR from the well-recognized institute with several years expertise are required to apply for such posts. Age limit should be 25-35 years is required. Interested applicants are required to register themselves by visiting the NTS Official site or from the given link below. Candidates need to submit test fee of Rs. 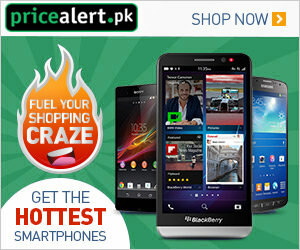 460/- through prescribed deposit slip on any online branch of HBL, MCB, Meezan Bank Ltd or ABL. (non-refundable and non-transferrable) in favor of National Testing Service-Pakistan. Islamabad. The last date for online registration is April 22, 2019. For shortlisting the applicants should obtain the best score in NTS Test. So, stay tuned to this page as ever. Address: Plot 96, Street # 4 H-8/1, Islamabad.